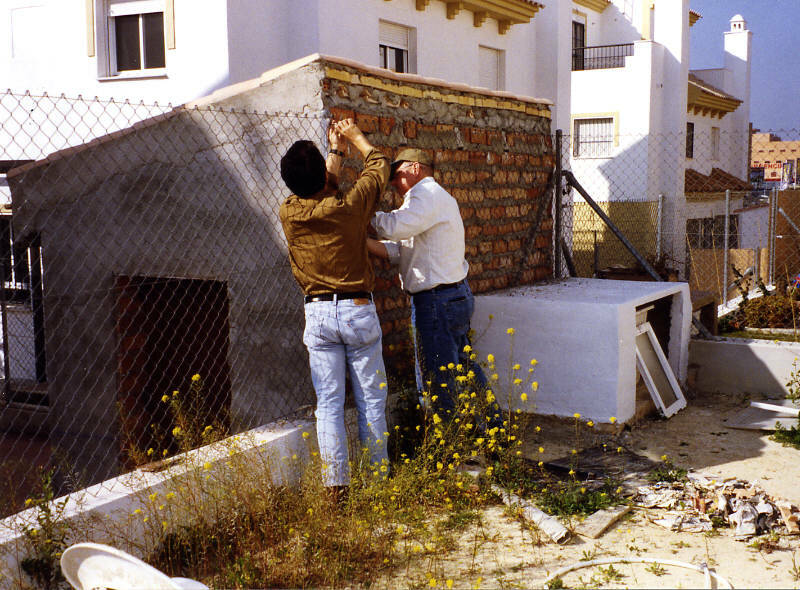 Photo: Nacho and Tom work on the fence. Eastern Mojave Vegetation Nacho and Tom work on the fence. Nacho and Tom worked to remove some of the chain link fence at the back of the yard. The neighbors behind Nacho and daughter are having a garden shed constructed that backs up to the fence. Since most construction is done in brick with cement plaster coating, the back side facing the yard was rough brick and mortar. We needed to remove the chain link fencing so that the workmen can finish the side facing the yard. Field Notes: Sunday, February 15, 2004..